San Francisco Bay Area Homeowners and Businesses Count On Bayside Pavers For Concrete Paver Walkways and Steps! Want your guests to have a good first impression when they come to the front door? Creating a beautiful concrete paver walkway is sure to make that first impression a great one! A paver walkway can add an elegant element to your home that will up its curb appeal and increases its value. Concrete pavers are durable, long-lasting and aesthetically beautiful. Creating a unique design can not only create a functional walkway it can give you an artistic pathway to your front door! Concrete Walkways are Durable, Beautiful and Can Last For Decades! Concrete paver walkways can have a usable lifespan that can last for decades! Today, concrete pavers are available in more sizes, shapes, colors, and textures than ever before. Because of the variety of styles available, it's possible to create gently curved walkways that replicate the look of natural stone or brick. A concrete paver walkway can fit into any home's landscape and architectural style adding value and functionality to your home. Concrete pavers are also a great way to define planting beds, making them perfect for both garden paths and entryways. If your worried about slipping when they're wet, many-textured pavers are available that are slip resistant and safe for older and younger family members. 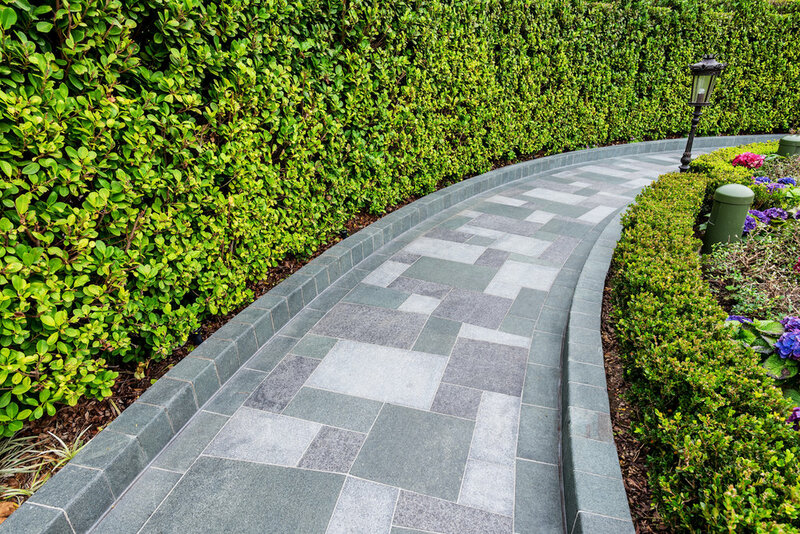 Thanks to the wide variety of colors and patterns to choose from, using different color combinations, or adding a textured border allows you to create a beautiful modern looking walkway design. Or, if rustic is more your style, choose a darker color combination for a more natural look. If you have existing hardscape, like an outdoor patio, outdoor kitchen, pool deck, or retaining walls, you can match your existing hardscape and tie your entire outdoor living area together with beautiful concrete pavers. If you have any questions, contact us at any time and we’d love to install a walkway for you! 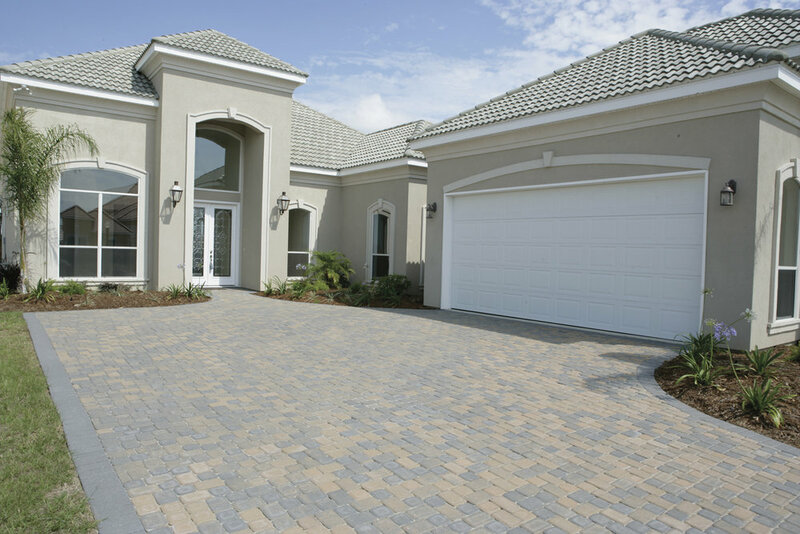 Typically the lifespan of a driveway made of pavers can last up to 30 or more years. This kind of longevity relies on the driveway being installed correctly, however. To ensure that you get the most out of your driveway, get into contact with a professional pavers installation company. Although it is possible to install pavers yourself, it is highly recommended that you get the help of professionals. With their help, you can be certain that the driveway has been installed correctly and safely. In this way, you will know that your beautiful new driveway will last for many years to come. 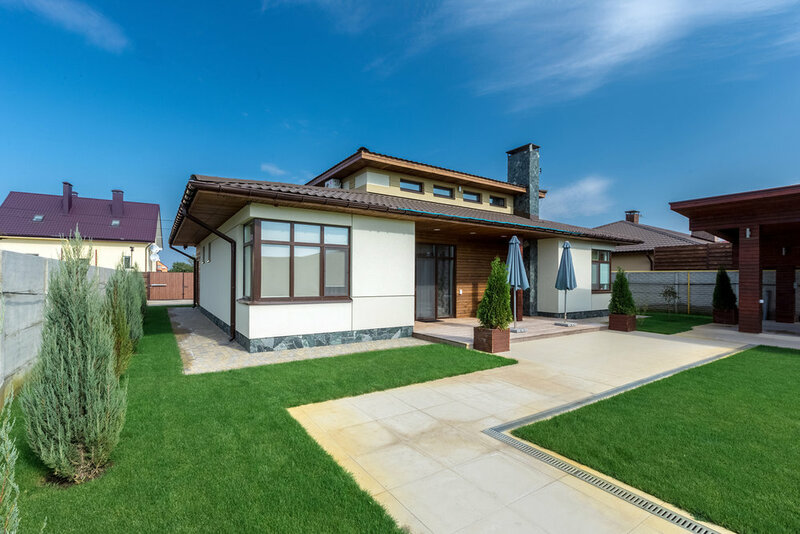 While it is possible to install a paver walkway around your San Francisco Bay area home yourself, it's always a better choice to have your walkway professionally installed. The key to long-lasting hardscaping is the proper preparation of the installation site. Here at Bayside Pavers, we're experts at installing all hardscaping including retaining walls, driveways, pool decks, patios, walkways, and stairs. If you have a terraced yard, proper installation of hardscape stairs can work to tie the various levels of your hardscape together. Slopes and hillsides can be challenging when it comes to installing hardscape stairs. Creating a professionally designed and installed tiered backyard can turn your outdoor space into a beautiful and functional extension of your home. Have Your San Francisco Bay Area Home's Landscape Professionally Designed By The Experts! Having a beautifully landscaped yard is a source of pride. Whether you're looking to grow fruits and vegetables to provide a healthy food source for your family or create beautiful exotic flower beds, concrete pavers are the perfect material. Creating a tiered landscape design affords you the ability to create lush gardens, private hideaways, an outdoor living room or kitchen, or any other beautiful space you desire. Tying a tiered landscape design together can be accomplished using hardscape walkways and stairs. At Bayside Pavers, we can work with you to design the perfect outdoor landscape to meet your needs. 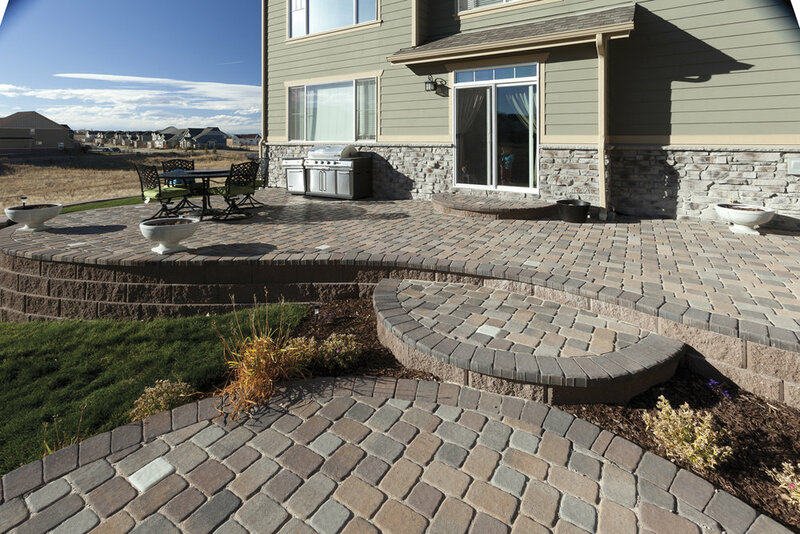 Connecting and tying in the various design elements using paver walkways and hardscape stairs is an essential element. It's the finishing touch that will give you an elegant look that will last for decades. If you're considering adding concrete paver walkways and hardscape stairs to your landscape design, give the experts at Bayside Pavers a call at 1-866-287-2837. We can help you design the perfect landscape design to meet your family's unique needs. Our knowledgeable team members are ready to help you create the tiered outdoor living space you've been dreaming about! If you'd like more information, give us a call or stop by one of our two San Francisco Bay area locations. If you live in the East or South Bay area, visit our location in Concord, CA at 2455 Bates Ave, Ste K. Our Santa Rosa, CA location at 1619 4th Street Ste 12 can help you with your North Bay hardscaping projects.